UPDATE: The badly injured man, run over in this incident has been identified as a 73-year-old German and police have now confirmed that he died of his injuries in hospital. The other two struck by the car were a32-year-old Austrian man and a 29-year-old woman from Bosnia who suffered no serious injuries. AN individual, thought to possibly be mentally disturbed caused chaos in the German city of Heidelberg when he drove onto a pavement and injured three people. 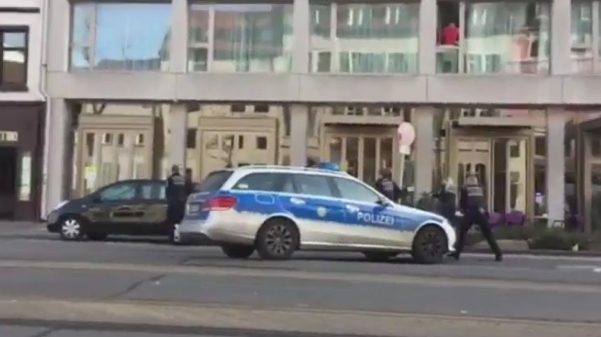 Thoughts immediately turned to the terrorist attack in Berlin last December when a man drove a lorry into a Christmas market, killing 12 and injuring 49 but on this occasion after a short confrontation near to the scene of the attack, the man, apparently armed with a knife, was shot by police. Of those run down, one is said to be seriously injured and the attacker was taken for treatment before being interviewed by police but it is not believed that this was a terrorist related incident, although this may change as more information is made available.